Ever wondered how to turn a simple webcam into a microscope, safely cultivate GFP bacteria, hack DVD burners to make your own nano and bio experiments, or how to use other cheap, easy to come by material in order to build an hydrometer (instrument to measure the relative density of a liquid), an incubator or even a bat detector? Then you should check out the DIY pages on Hackteria‘s wiki or enroll into one of their workshops. 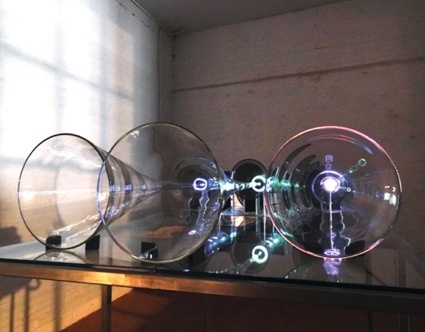 Hackteria is a collection of Open Source Biological Art Projects started in 2009 by Andy Gracie, Marc Dusseiller and Yashas Shetty. They have since been joined by Anthony Hall, Urs Gaudenz, and a growing community of people keen on making experiments and developing their own projects in the field of biological art and science. The wiki is an online resource for scientists, garage scientists, hackers and artists alike. It is also offers them the opportunity to combine their expertise, write critical and theoretical reflections and share simple instructions on how to work with life science technologies following an open source collaborative model. I discovered the project in June at the Making Future Work conference in Nottingham where Andy Gracie was presenting his work. Because i made it my duty to interview Andy almost every single year since i started the blog, he’s the one i contacted in order to get more information about Hackteria. It’s not only getting embarrassing, but it also means that i’ll have to wait till 2012 to interview him about his robots that send him on dangerous missions to collect samples for them to analyze. Hi Andy! If i understood well, the activities of Hackteria.org revolve mostly around workshops. Which kind of people register to these workshops and what are they looking for? We get a very broad selection of people coming to the workshops, although it also obviously depends on the context of the workshop. In general we’ll get a few artists, maybe a scientist or two, or people who are just into the whole hacking / DIY / FLOSS scene and are looking for new adventures and working methodologies. Its probably quite safe to say that the majority of participants share a general interest in finding ways to perform scientific activities without spending silly money and without having to get access to a conventional lab. Probably many of the people who take part in our workshops are looking for that kind of hands on access and experimentation. I think also that owing to the fact that our standard workshop involves the making of a USB video microscope participants are genuinely excited about accessing a world and a scale that they have never had access to before. Its always interesting to see how transfixed people become when they see micro-organisms for the first time with a device they have built themselves. 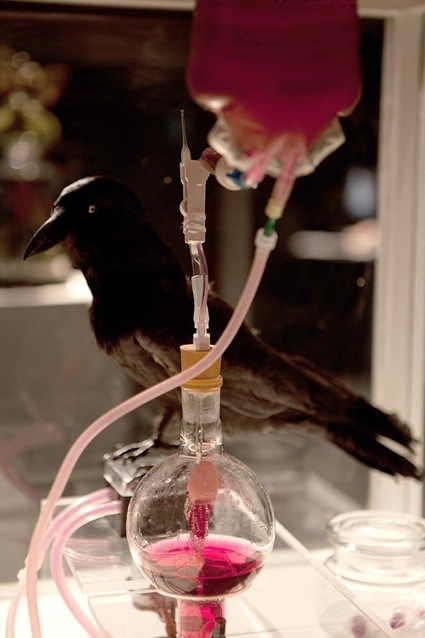 Some of the artist participants that attend seem to be looking for a way into working with biological subjects, or a kind of door into bio-art. We’ve never set ourselves out as offering bio-art for beginners but its clear that our workshops provide a first hands-on experience of working with microorganisms for many people. Could you tell us about some of the most quirky, interesting or meaningful projects that have been developed during the Hackteria workshops? As I mentioned, up until now our workshops have mostly focused on the development of webcam based microscopes, and we have probably seen the making of over 200 completely unique and quirky interpretations of what this could be and how it could work. Given time we try to then encourage the participants to begin to build some kind of micro-scale interactive environment which they will be able to observe through the microscope. This can involve micro-fluidics, electrical or magnetic stimulation or whatever else comes up. In some of the workshops that Marc has run recently we have seen the development of an Arduino shield for growing cress, cyber ears and a nematode tracker hacked from an optical mouse. The latest workshop we developed called BioCyberKidzz was held at the Create Your World festival in Linz. It is an introduction to different natural phenomena for kids. We made jewellery with inoculated Petri dishes to observe the growth of bacteria and fungi from our hands, inflated balloons with gasses produced by yeast fermentation, and augmented the kids’ sensoric perception with magnets and UV LEDs. I think probably the most meaningful example of what we have been doing is when we did a microscope workshop in Indonesia with medical students and saw that this could be a very practical and affordable tool for under-resourced scientists. How was hackteria born? And why did you and the other founders of hackteria feel that there is a need for this hands-on approach to bioelectronix? Hackteria was born when Marc Dusseiller, Yashas Shetty and myself met up at the Garage Science Interactivos? 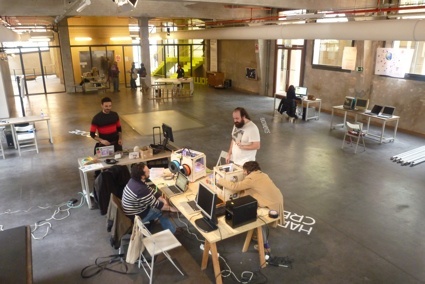 being run at Medialab-Prado in Madrid in 2009. The three of us all began to talk about an availability gap in information about real DIY alternatives to lab protocols and equipment. Marc and Yashas already had quite a bit of experience from their work Zurich and Bangalore so there was quite a bit of expertise already. Originally though, it was Yashas’s idea to create Hackteria as an online resource – none of us really thought or planned that we would do so many workshops and meetings. In the end though, the workshops as a kind of ‘roadshow’ back up to the practical information available on the website seemed to be a good model for getting the ideas and information across. It wasn’t so much that we’d identified a need for a hands-on approach to bioelectronix (the ‘x’, by the way’ differentiates our approach from the multi-million dollar industry of ‘real’ bioelectronics – the lab on a chip, etc etc), but a hands-on approach to simple, affordable and do-able biological techniques and protocols in general. I’m also curious about ethics in relationship to the animal kingdom the “Discourse” page of the website refers to. Which kind of discussions about ethical issues arise during the workshops? In the course of our workshops we generally and thoughtlessly kill many thousands of organisms. It’s all too easy to just rinse of a slide, or wipe it on your trousers, without realising that you are also destroying a host of microorganisms at the same time. We generally let people do this for a little while until they have become familiar with the organisms under the microscope. Once they understand the animals they are working with we can have a much more meaningful discussion about the ethics of how we treat them, and we often see a more careful approach after that. Obviously, ethical considerations on the micro scale are different to those of the macro scale, but we aim to engage people in a thought process about it while they are working. We will often have a discussion at the end of the workshop where the usual wide range of viewpoints and stabdpoints get aired. The only change in peoples’ minds is probably a slightly deeper awareness that microorganisms might just have rights too. One of our goals is to reevaluate the relationships between the observer and the observed that have been handed down to us from traditional research institutes. Artists in our workshops who come from alternate, diverse contexts and cultures suggest an alternative paradigm – perhaps a more performative one. What are the next projects, dates, ambitions of hackteria? 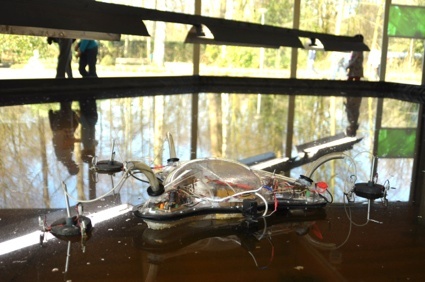 We just had our second annual hackterialab in Romanmotier and Zurich in Switzerland with up to 30 friends and invited guests from the worlds of art and science. During this time we spoke a lot about what Hackteria should be where it should go and what it should be. I think we pretty much reimagined what workshops can be, and what formats they can take, so I think there will be a lot of experimentation on that front – the actual format, content and duration of the workshops themselves. We should also note that the answers to these questions are probably very different now – post Hackterialab2011 – than they would have been beforehand. A lot of very interesting developments took place during that period that will take some time to settle and establish themselves. We also spoke a little about making something for ourselves (seeing as Hackteria is always for other people). Maybe this would be an exhibition of our own DIY experiments, or the development of some new protocols. In Zurich we also staged a 2 day combined conference, workshop and exhibition. 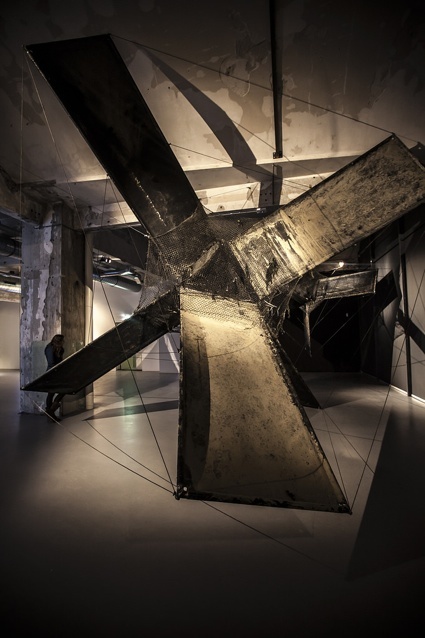 There seems to be potential in that format for getting across the Hackteria idea, although we would like to avoid typical art world formats – Hackteria should always offer something a little bit more unusual, provocative and surprising. Thanks Andy, Špela and Yashas! Posted in bio, DIY. Bookmark the permalink.